Yesterday, I went to an awesome event (but more like a spa party!) called Pretty in Pink with S.E.C. 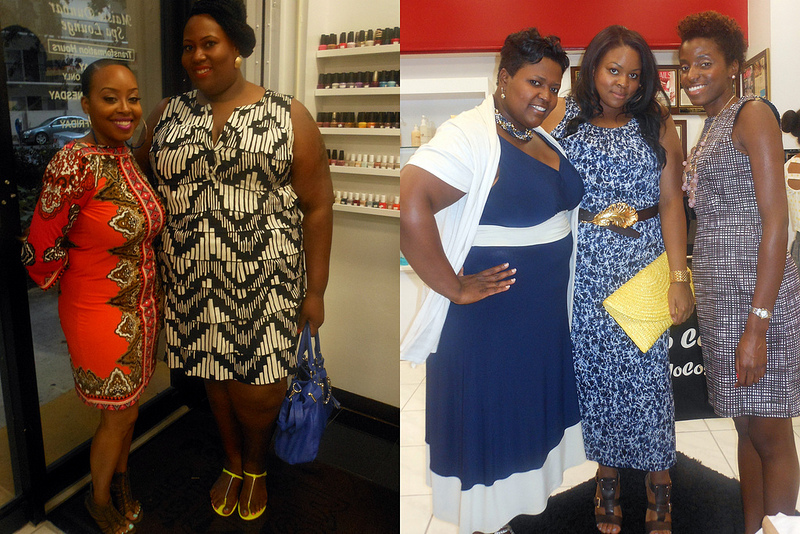 This event was the mastermind of three very stylish DC local bloggers: Naseya of Seventh District, Seereda of eclechick and Sondra of Chic Chocolate. 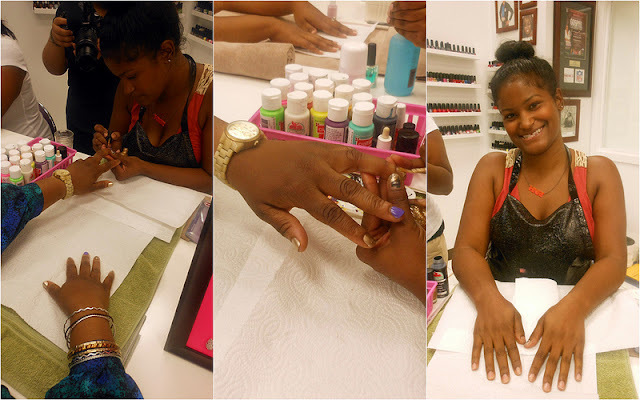 It was held at Maisie Dunbar Spa Lounge located in Silver Spring. The event quickly sold out online so for us lucky attendees we were treated to free manicures from some of the best manicurists in the DC area, Qream drinks (I tried the Strawberry Cream Liquer and it was delicious!) and tasty cupcakes. I arrived early to this event (and for anyone that knows me, that is a miracle cause I am forever tardy for a party) and that worked to my advantage because I was one of the first ladies to get my nails did. woop, woop. All in all, I had a fantastic time. I wished I got a better close up photo of my skirt. The lines are neon green. And the blouse also has neon green in it. Complemented great with each other. The flash took it away. Bummer. My nails had the pleasure of being professionally done by Ajahmoure of HerNailsRock. Ajahmoure has done nails for Angela Simmons, Selita Banks and most recently J.R. Smith of the New York Knicks. A very funny and talented girl! I loved this lady's newly done nails! The nail art reminded me of Dippin Dots ice cream. The name of what she got is Caviar nail art. I have never heard of this new trend until last night.